Welcome to this weeks Read With Me, it was lovely to see so many of you linking up last week, gave me quite a few books to add to my "to read" list. Although I read a couple of books this week, it is actually my eldest daughter Elise that is writing this weeks book review. 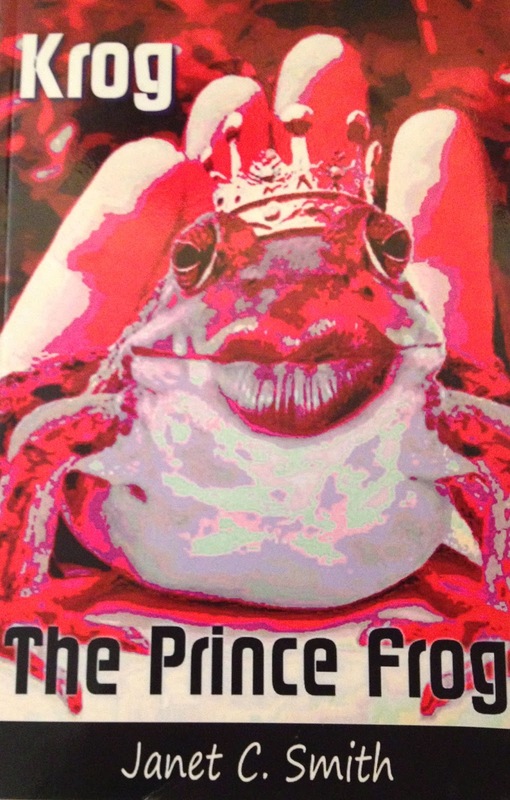 "The book is about a princess, a witches plan and a frog called Krog that was turned into a prince. He definitely struggles in his new life. Krog falls in love with a yellow eyed frog named Rivetta, she is the kings pet. I think that it is a heart warming story with a few humorous parts and a touching happy ever after at the end." I also read the book and I have to say I loved it, something very entertaining and a bit different to the norm. Krog finds himself living with King Olav and the royal family of Olavland. He is placed as a potential suitor for the kings daughter Princess Gloriana, lets just say this isn't your typical fairytale. I would say this book would be most suited to children up to the age of around twelve but overall a fun story that the whole family can enjoy. Now on to the fun part. Please do link up all of your book related posts, whether that's something old or new, any reviews or just something you want to recommend, all posts are welcome. It would be much appreciated if you could comment on a couple of other posts that link up and I would love it if you would display my badge.